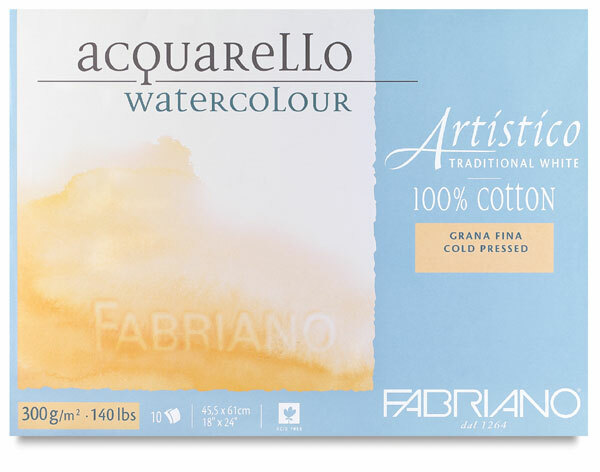 Fabriano Artistico Traditional White Watercolor Blocks are glued on four sides. 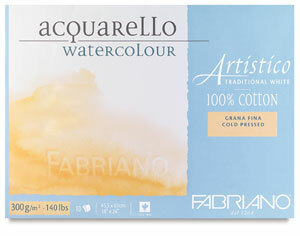 Perfect for Plein Air painting. Made from 100% cotton, are double-sized and are acid-free. The traditional warm white shade is created without the use of optical brighteners. Cold Press, 10 Sheets, 18" × 24"